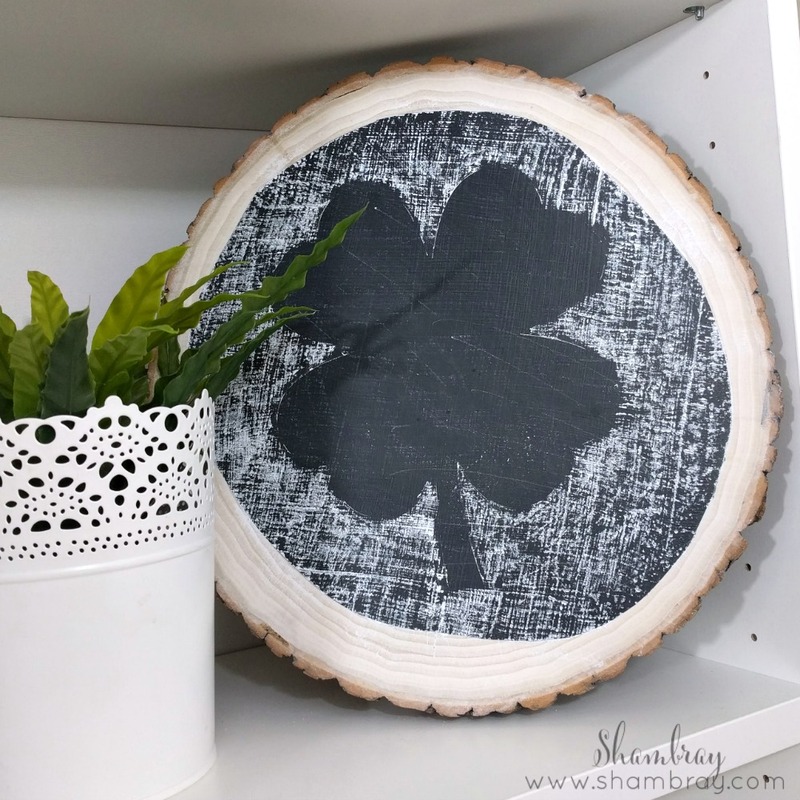 I have wanted to incorporate wood slices into my decor for some time. 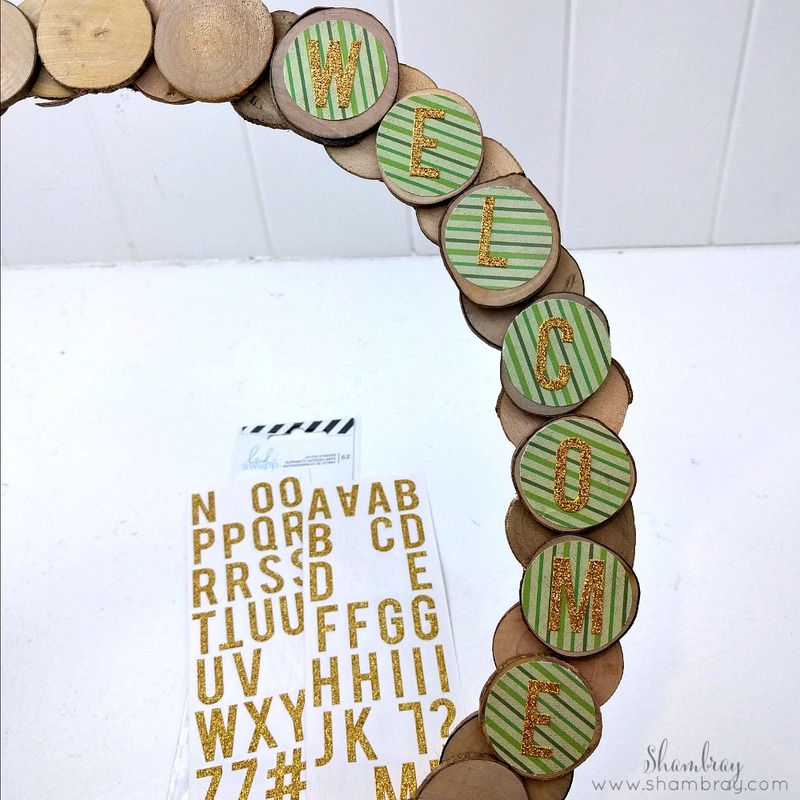 Let's just say that wood slice crafts have been on my "to do" list for far too long. Crafting lately just hasn't happened and it makes me sad, but it's my current reality. 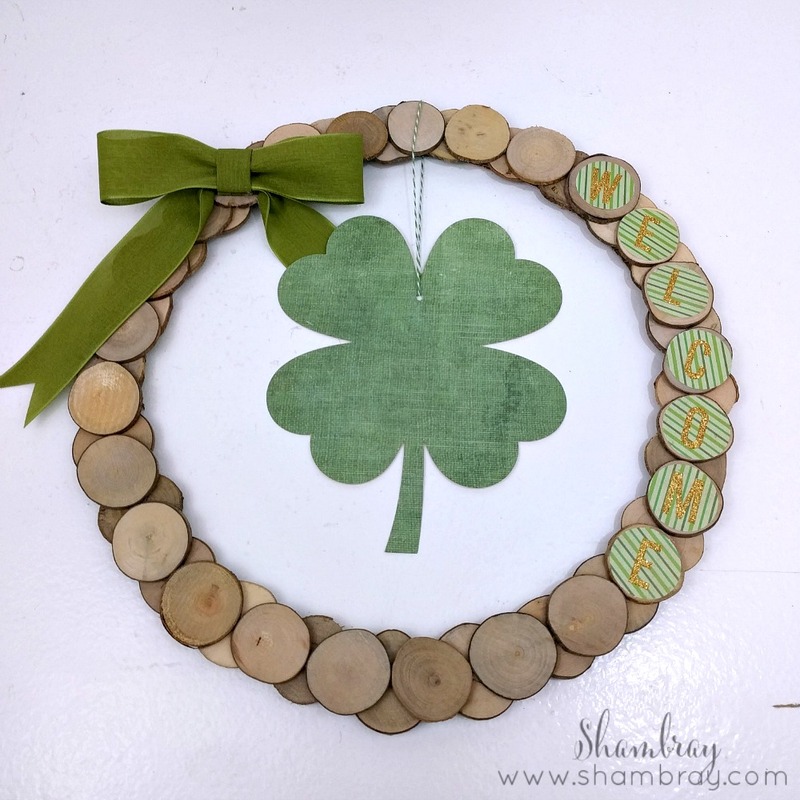 However, I love green with the natural wood color so I knew I had to do some wood slice crafts for St. Patrick's Day. 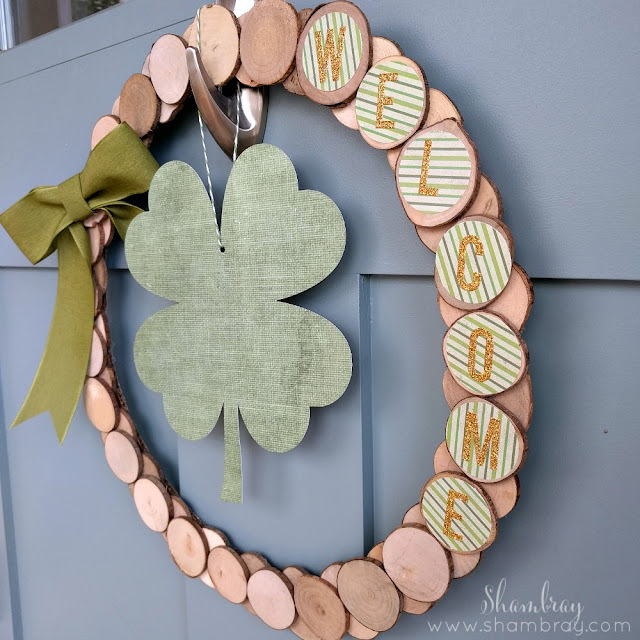 I explained in my Wood Banner post how I like to think about decorations. I like them multifunctional (it reduces clutter). I knew I wanted to make these crafts interchangeable. Each of these crafts have a good base for a decoration, but you can change it up for different times of the year. 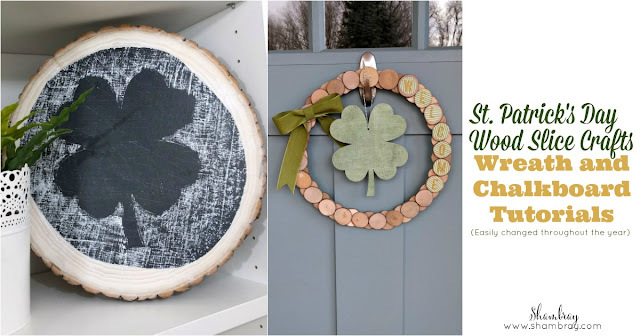 For the wreath you can take off the ribbon and the shamrock. I used repositionable adhesive so the circles could be taken off as well. For the chalkboard it is as simple as erasing what I have written on there and changing it out for different times of the year. 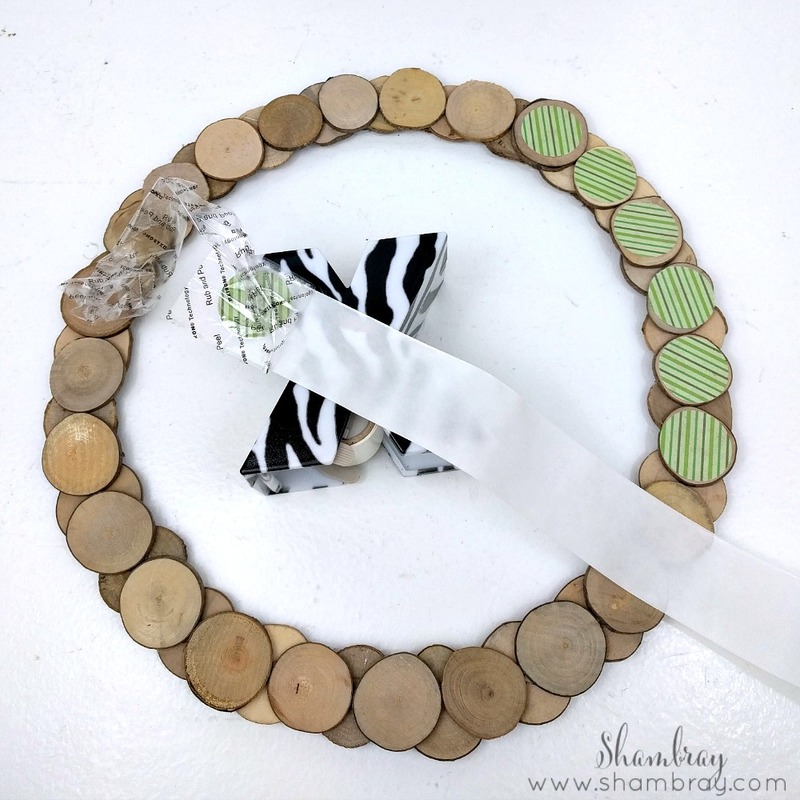 The wreath is VERY simple. I was so surprised how fast it went. 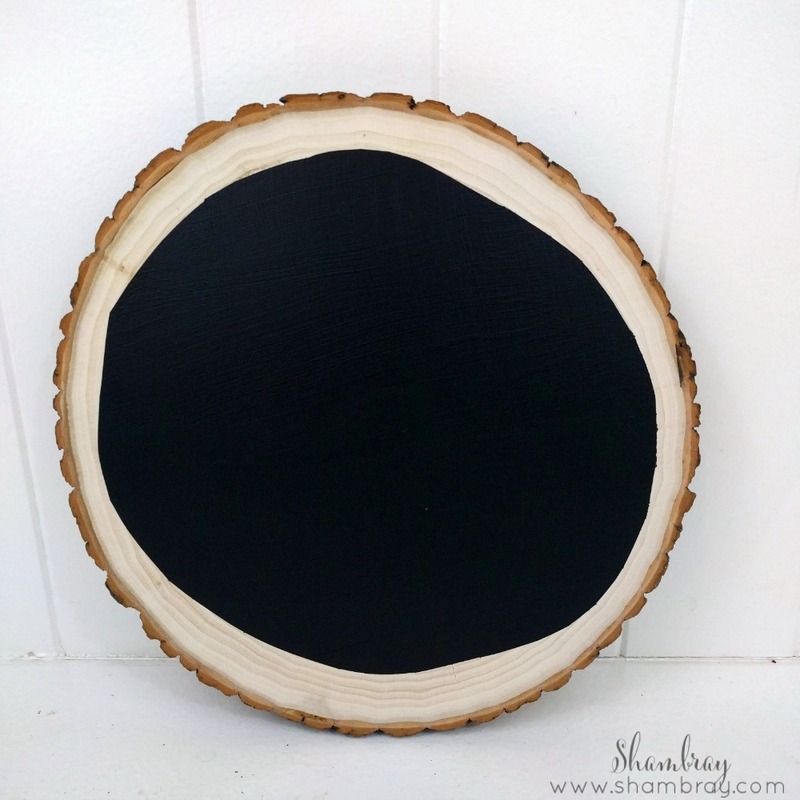 The chalkboard was quick too, but the drying time takes some time. 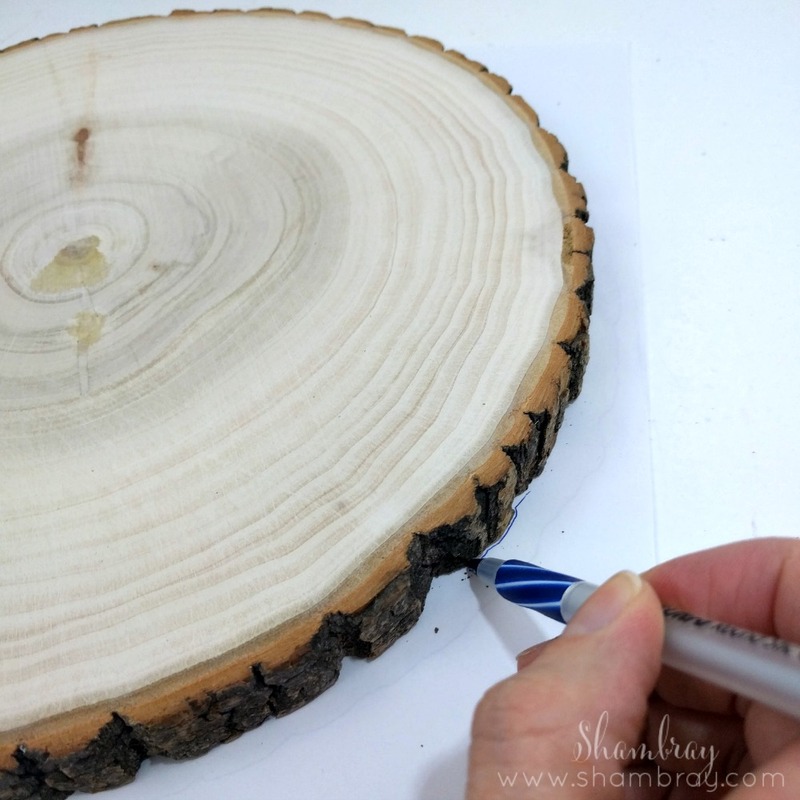 I was provided the wood slices from Oriental Trading in exchange for a blog post. No other type of compensation was received. All opinions are my own. Affiliate links are included as well. Which means that I will receive a very small commission if you purchase by clicking on my link. I love each of these products and own all of them. 3. 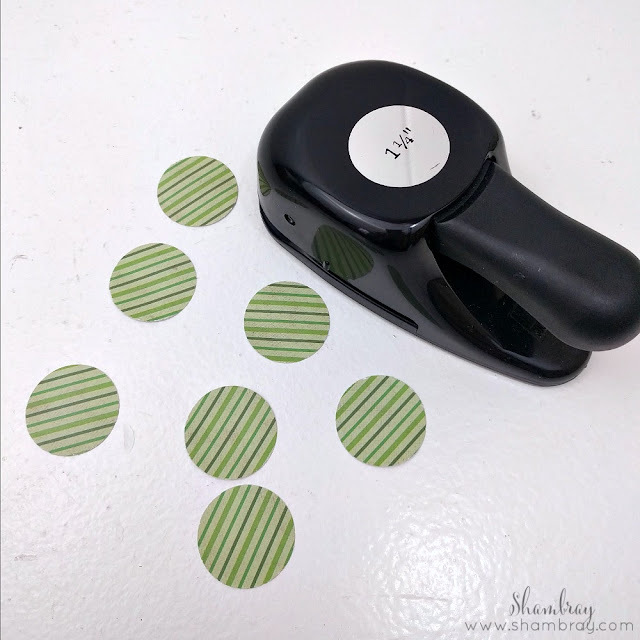 While the glue cools punch out circles from the green paper. 4. Attach the circles to the slices. Choose where you want them placed and what you want them to say. 5. Attach the gold letter stickers. 6. 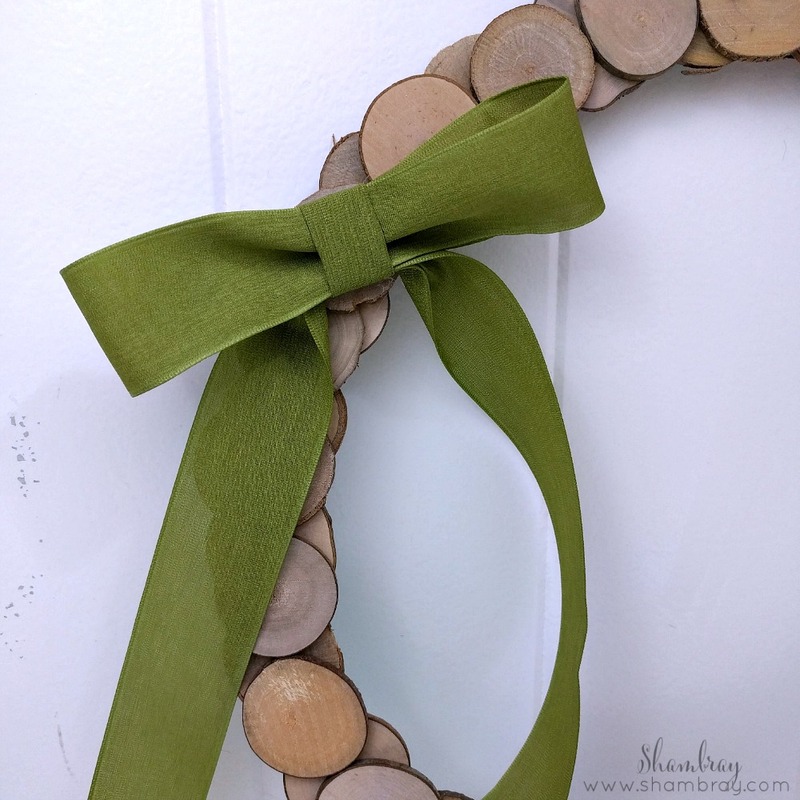 Attach the bow to the wreath. 7. You could end here! But I decided to dangle a shamrock that I had cut out last year with my Cricut. It was just laying around so I thought using it was a great idea. 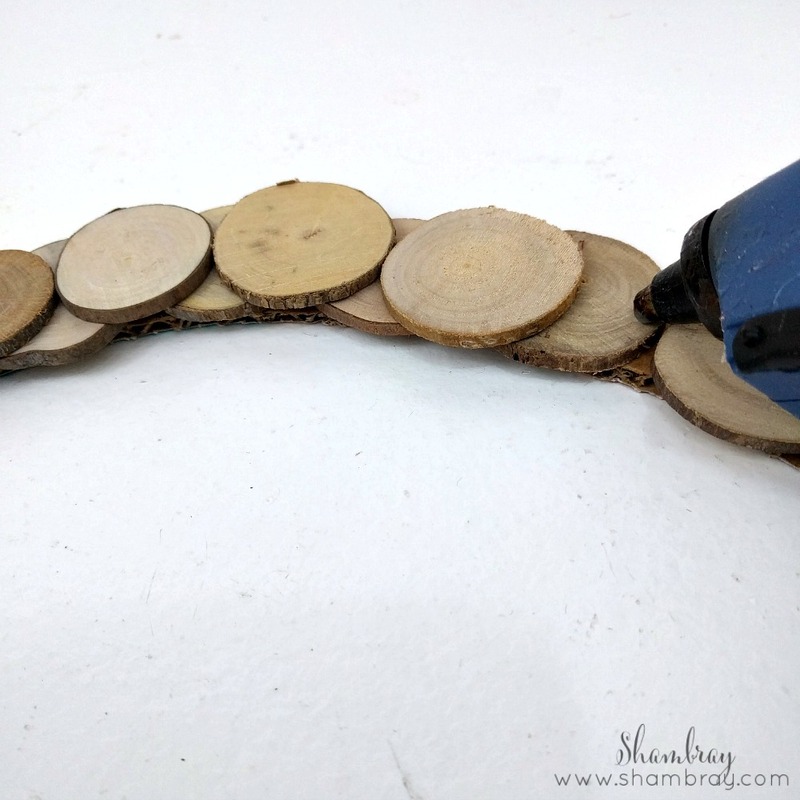 I attached it with some bakers twine. This seriously took me 30 minutes and that included making the wreath form (which took me 10 minutes!) It is very simple and actually I love that about it. I can't wait to change it out throughout the year. 2. Trace the wood slice on a piece of paper. 3. 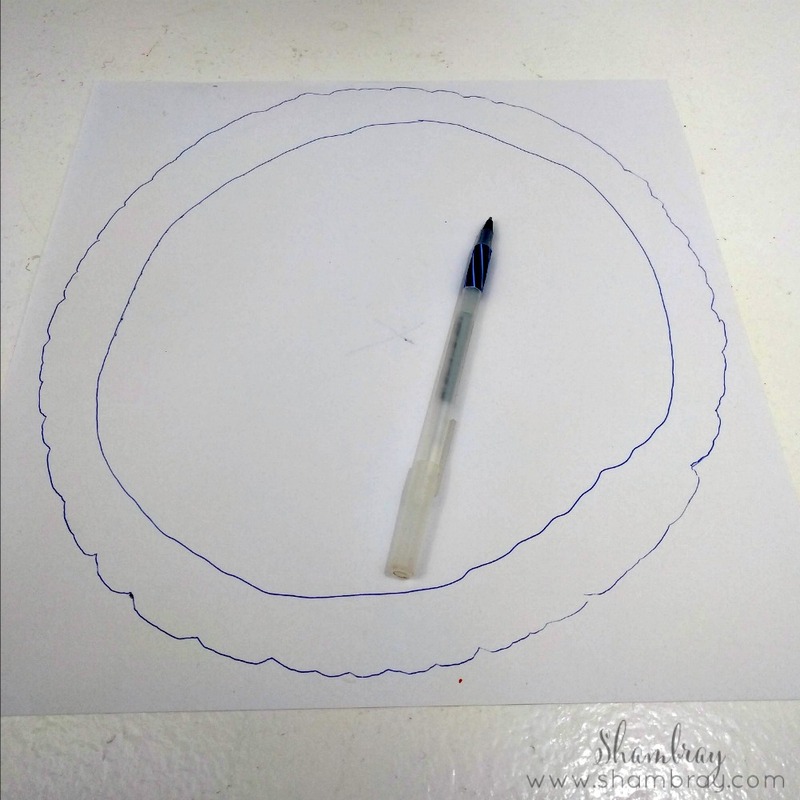 Draw a circle inside the circle you traced. This will be free handed, but you don't want it to be perfect. So don't be too picky. 3. 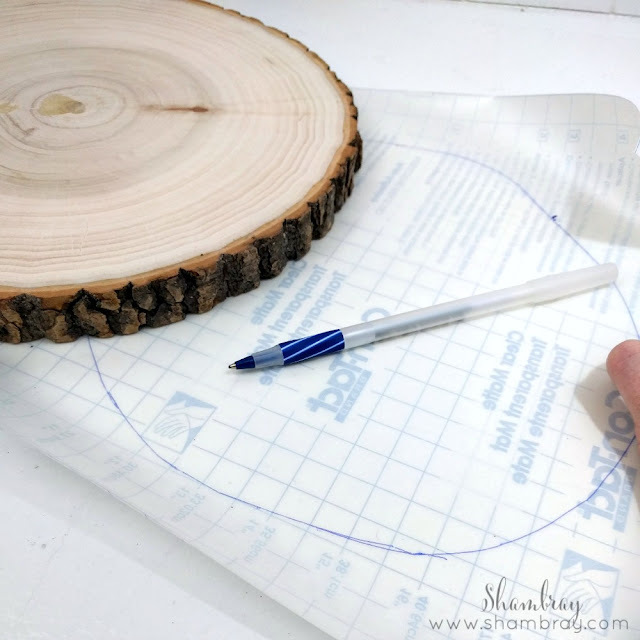 Cut out the inside circle and lay it down on the wood slice to see what it will look like. If you like it, go on to the next step. 4. 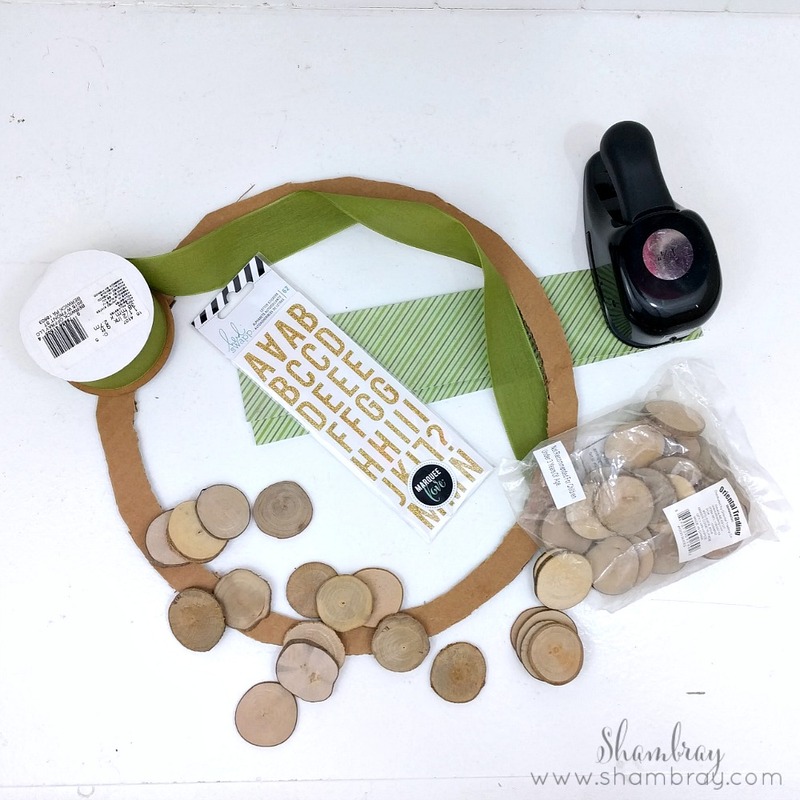 Trace the circle on contact paper. 5. 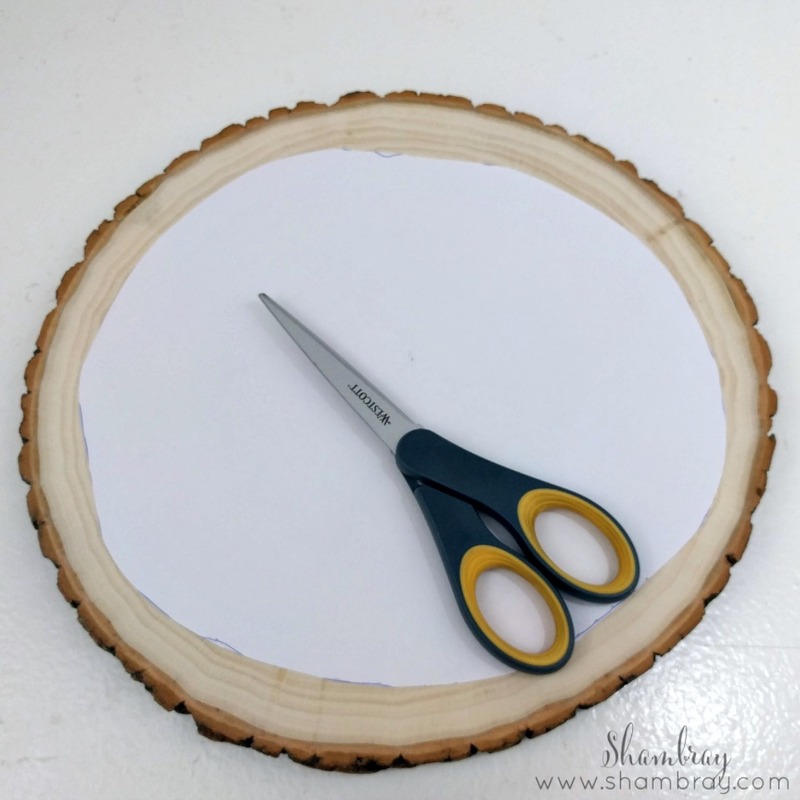 Cut out the inside of the circle on the contact paper. 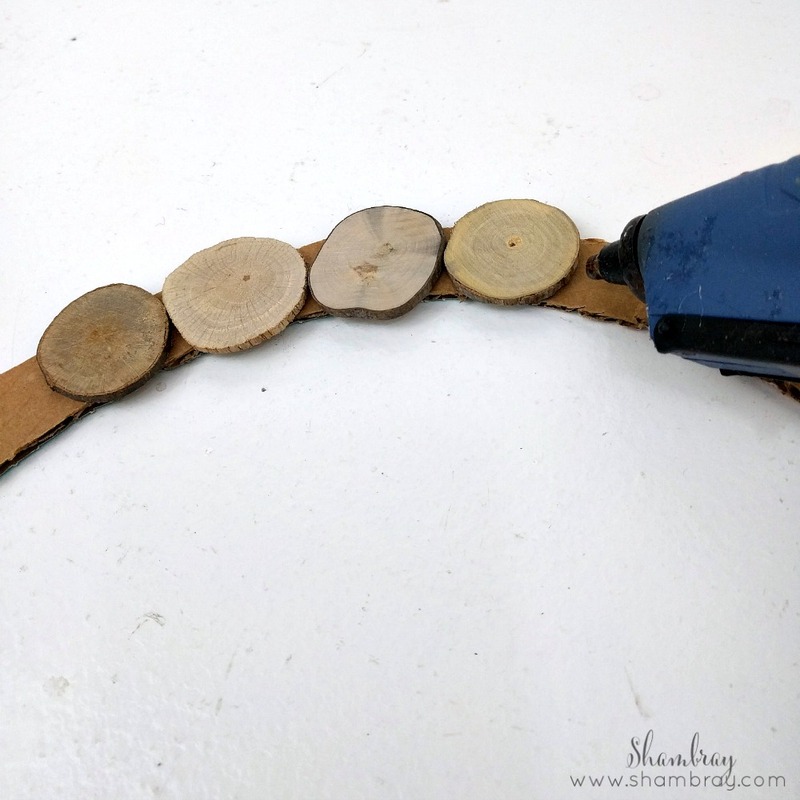 Then stick the contact paper on the wood slice. After it is placed where you want it then make sure to press down the edges really well to seal the edge (so no paint goes under the edge). 6. Brush the paint on the slice where the hole is. I like to dab the edges to make sure no paint gets under the edge. Let it dry for roughly 15 minutes and then take off the contact paper. NOTE: I did about 3 coats of the chalkboard paint. Then let it dry for 24 or more hours before doing anything with chalk on it. 7. Draw or write whatever you want on it. I did a outline of a shamrock. SO SIMPLE and FAST! The chalkboard is so simple to erase and change throughout the year. 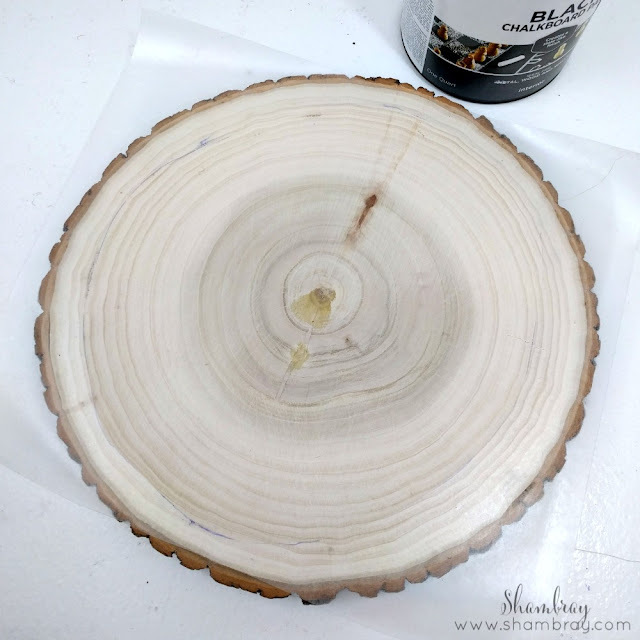 I also love that the back side could be used as just a wood slice since I didn't paint it. It is such a versatile piece.